I know im late but I loved this. 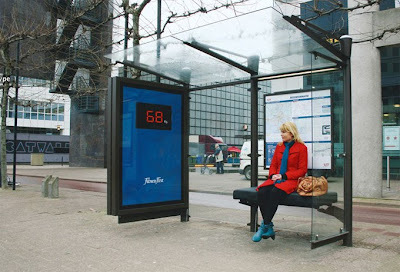 Folks waiting at the bus stop are faced with the reality of their weight. Literally. I would have liked to see some Mobile/Bluetooth/GPRS find your nearest gym call to action here.